Bella Italia is a Camping classified Super Platz according to ADAC. Here, you will find an offer of low price pitches for tents and caravans, but also comfortable bungalows and beautiful apartments. Located on Lake Garda, extremely near the center of Peschiera. A perfect facility for your relaxing but also active holiday, with an extensive program of entertainment and sports courses. A quiet and familiar atmosphere in which to spend relaxing holidays, active and healthy in contact with nature. 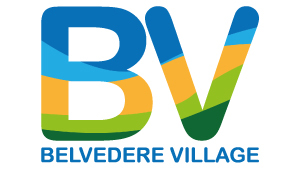 Just 5 minutes walk from Bardolino and Garda, with an area of 50,000 square meters fully planted with olive trees and native vegetation, offering those who are passionate campers shaded grassy pitches and, in addition to mobile homes, bungalows and apartments. 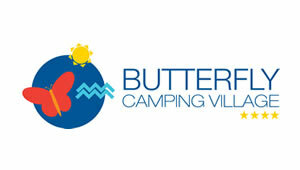 Right at Lago di Garda, surrounded by lush green vegetation and a few meters from Peschiera, Camping Butterfly is the ideal location for a relaxing holiday with your family. Choose from the rich offer the type of accommodation that suits you: stone bungalows, mobile homes for 4 to 6 people or comfortable pitches for tents and caravans? Relais Corte Cavalli is an elegant 4 star alternative near Peschiera. Originally an old complex, it has 48 guestrooms, a gourmet restaurant and a multipurpose hall. All around, green fields and beautiful vineyards, ideal for an elite clientele, looking for the maximum a holiday can offer. Hotel Bella Italia is a modern 4 star hotel for families. There are 44 rooms, a swimming pool indoors and a large swimming pool outdoors, with sauna and play room dedicated to the little ones. Also available at Camping Bella Italia, right next to the hotel, sports, playing and recreational facilities. 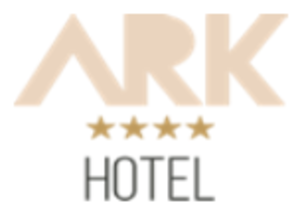 A confortable 3 star hotel, located just 3 km from the city centre of Peschiera del Garda. The Hotel has 35 renovated rooms with air conditioning, some with lake view, a private parking, pool, elevator, breakfast room, TV and reading room as well as wi fi connection. Hotel guests can use the facilities of Camping Bella Italia for free. 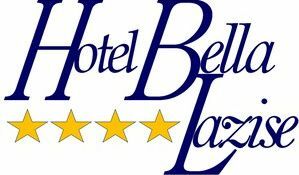 a renovated and modern 4 star hotel in the vineyards behind Lazise, just 1 km from the city centre. The Hotel has a pool and a large garden and will have 75 rooms in 2017. All rooms have air conditioning, LCD sat TV, Telephone, free wi fi connection and safe. Some have a balcony with garden / lake view. the Hotel is directly on the lake, in the harbour of Cisano, in a wonderful position between Bardolino and Lazise. The 55 rooms are equipped with every comfort and located in the main building or in the annex. In the main building there is a reception, TV room, billiard room, and a bar as well as an internet point. Guest can benefit of a nearby located garden with pool with lake view. 182 apartments with three rooms in this Residence at only 2 km away from Peschiera. 2,400 sqm of swimming pools and a large park for a modern, comfortable and quiet residence. The proximity to the motorway exit and the excellent value for money make the location the ideal starting point for tours and visits in cities of art of Veneto and Lombardy. 120 apartments with three rooms in this residence at Castelnuovo del Garda: a few km away from Gardaland and also not far from Caneva World and the centre of Peschiera del Garda. There are also: sports center with football field, large lagoon swimming pool, supermarket, restaurant, bar and children's playground. Meet Garda Hostel is the first and only hostel by the Lago di Garda Veneto, opened in 2014. Large common areas, a splendid panoramic terrace, gardens and a covered porch on the ground floor. Here you will find spacious dorms up to 8 beds, smaller and private rooms, double and triple, and all with private balconies and services. In a strategic location, only 500 meters away from the station of Peschiera del Garda and 50 m away from the lake, this young and modern facility is the perfect base for young travelers always on the move. 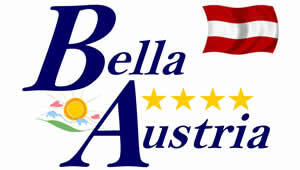 Camping Bella Austria: you will find it in Stiria, 800 meters above sea level. Discover its spacious pitches, mobile homes and tents for holidays in contact with nature. Among the pluses you can find a heated pool, spa area, a typical restaurant, entertainment for children and countless opportunities for excursions in the surrounding areas, for a dream holiday in an unspoiled place. 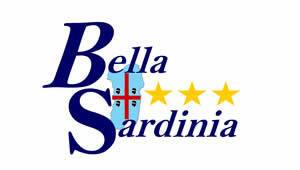 Camping Bella Sardinia is located in a picturesque location, in the Sinis peninsula, overlooking the long sandy beach of Is Arenas, in front of a crystal blue water. 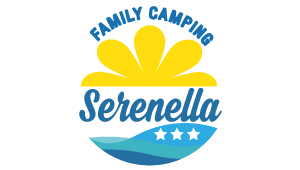 The offer includes 300 spacious pitches on sandy bottom and shade for tents, caravans and campers ... while the village has bungalows equipped with outdoor veranda in direct contact with the wonderful nature of Sardinia. Hotel Costa Paradiso: in 2017 a new 4 star hotel with 50 rooms will open in Costa Paradiso, Sardinia. 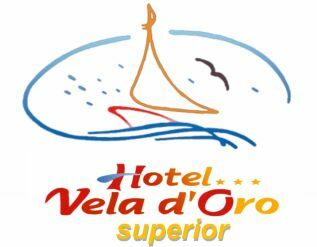 The hotel is located in a unique position on the northern coast of Sardinia (about 1 ½ hours from Olbia), directly on the cliffs by the sea. Private sea access in a romantic cove and pool with sea view. A lounge area with bar and restaurant as well as private parking and sport facilities complete the offer. Bella Italia Efa Viagge is a village in Lignano Sabbiadoro (Ud). Joined the group recently (July 2017) is made of many residence complexes surrounded by 60 hectares of pine forest, a few steps from a beach of fine sand, over 1200 meters long. Lots of sports, entertainment, games and fun for young and old. Olympic swimming pool, soccer field, volleyball and basketball courts and sports hall. The structure is completed by the Piani di Luzza complex on the splendid dolomites a few kilometers from the town of Sappada. Arena Tourist is a tour operator and travel agency for over 20 years on Lago di Garda. We handle both the incoming for both foreigners and Italians for Lago di Garda and Verona, by organizing daily excursions to the most famous tourist destinations of northern Italy and organizing weddings for foreigners in Verona, Lago di Garda, Venice and Tuscany. In addition we offer services of air ticketing, honeymoons and travels around the world for tourism, work, study and for groups. Since 1999. Happy Camp organizes your holidays in mobile homes and tents by the Lago di Garda, Riviera Veneziana and Adriatica, Toscana, South Italy, Island and Europe, with destinations in Spain, France, Croatia, Slovenia, Austria and Hungary. Spacious and bright mobile homes, with bathroom with shower, living room with kitchen and two or three bedrooms, depending on the type chosen, fully furnished and equipped with pillows, blankets, dishes and outdoor furniture. Aqua Camp is the ideal choice for those who, in a holiday, are seeking well-being and contact with nature and prefer simple structures of reduced dimensions, but located within walking distance from major spas, charming seaside resorts on the shores of Lake Balaton. Aqua Camp combines the convenience of the mobile home holiday to the opportunity to benefit from specialized care and treatment in the most famous Spas in Hungary and to enjoy stays in beautiful seaside resorts in Croatia and Italy.